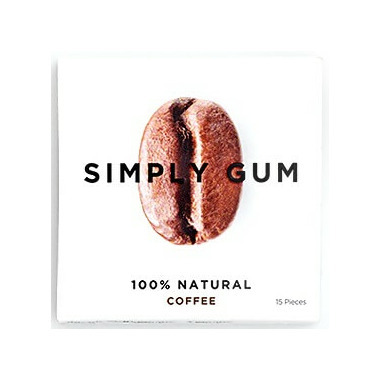 With all of the flavour and barely any of the caffeine, their coffee gum is the perfect dose for coffee lovers who can’t get enough. Pop a piece between meetings, or after your last cup of coffee, to keep the coffee taste without the coffee breath. Where conventional gum brands use hidden plastic and artificial ingredients, they use chicle, which comes from the sap of a tree. That means their gum is not only better for your body, it's also biodegradable and better for the planet. i bought all flavors to try them the gum is great not sticky and the packet comes with little papers for after you are done so no worries. Mint and cinnamon are quit fine. Licorice is ok and needs more flavor. Coffee has no flavor at all. Excellent roasted coffee flavour! It's a firm gum, and does not stick to dental-work. The packet comes with little papers for after you are done.